John Beal began his acting career in the 1934 RKO film The Little Minister with Katherine Hepburn. He worked USAAF camp shows and training films during WWII. 01/27/1974 0022 Time and Again A clockmaker comes across a mysterious clock that can give him an additional hour every day. All it needs is a little blood in return. 06/01/1978 0843 The Silent Woman A woman goes into a silence for 27 years after being forced into a marriage against her wishes. 11/27/1978 0923 Alien Presences Witnessing the crash of an unidentified flying object, an elderly couple head to the location and find a bay amidst the wreckage. As the child grows older, he longs to return to his own planet and people. 12/20/1978 0933 It Has to Be True When his gun and clothes are found in the apartment of the deceased, a traveling salesman is imprisoned for the death of a woman he has never met. He pleads innocence but the evidence against him is overwhelming. 04/04/1979 0968 The Believers When a nosy neighbor becomes curious about the strange incidents that go on at the house next door, she sends her son over to investigate. He soon discovers a parallel universe within its walls and solves the mystery. 05/28/1979 0983 The Outsider After missing his train stop, a man finds himself in a cursed town stuck in 1949; and the townsfolk see him as the messiah who will set them free. 02/11/1980 1058 Talk to Me In order to ease his loneliness, an elderly man makes an anonymous tip to a crime hot line just to have someone to talk to. When his actions end up setting an innocent youngster to take the fall for a murder, he must find a way to set him free. 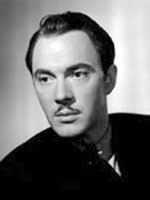 John Beal (August 13, 1909 – April 26, 1997) was an American actor. Beal began acting in the 1930s, opposite Katharine Hepburn among others; one of his notable screen appearances was as Marius Pontmercy in Les Misérables (1935). He continued appearing in films during the war years while serving in Special Services and the First Motion Picture Unit as actor and director of Army Air Forces camp shows and training films. Beal had starring roles in the film dramas Alimony (1949) and My Six Convicts (1952). In the 1950s, Beal also began appearing in various television shows, including the title role of mining engineer Philip Deidesheimer in a 1959 episode of Bonanza. He was hired to play the role of Jim Matthews in the television soap opera Another World when the show went on the air in 1964. He appeared in The Waltons, season 3, episode 13, "The Visitor", first aired in December, 1974. His character was a former neighbor, Mason Beardsley, an elderly man who returned to Waltons Mountain to live with his wife who he was expecting in a few days. The Walton family were excited for him and helped to fix up his home, only to learn that his wife had died a year earlier and, unable to accept this fact, he continued to look for her. He continued to work in films and television, notably as Judge Vail in the supernatural soap opera Dark Shadows (for 9 episodes), and also the theater up until the 1980s. Beal died at age 87 in Santa Cruz, California, two years after suffering a stroke.